Maybe a quick dart around the route I've called the Thurstaston Circle? Why not?! A good start to this expedition. 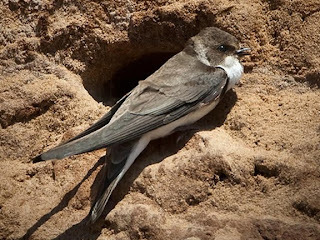 Down on the beach to check on the Sand Martins. No sign. Until 3 come swooping in. One lands on the edge of the nest hole the other feeds it, followed by the other. Cool, parents feeding young. Glad to see they've been successful. Scope out now and ckeck out the gutter about 150 yards into the mudflats. It's overflowing with Redshank and mingling inbetween them are some Dunlin. 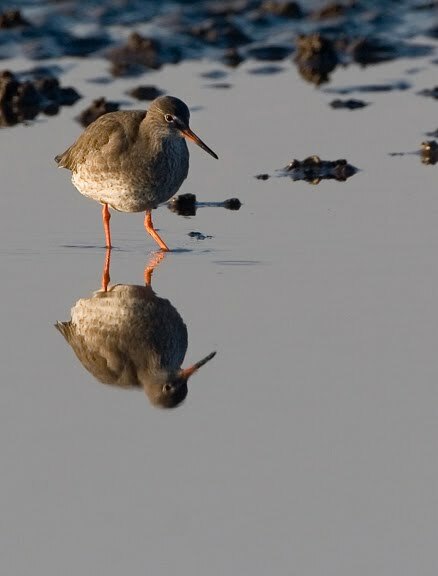 The Redshank number over 1,000, many wading belly deep in the gutter, plenty sheltering from an increasing breeze. I go through all of them but can't find any with colour rings. I'm looking very closely at the Redshank for a couple of reasons. 1. 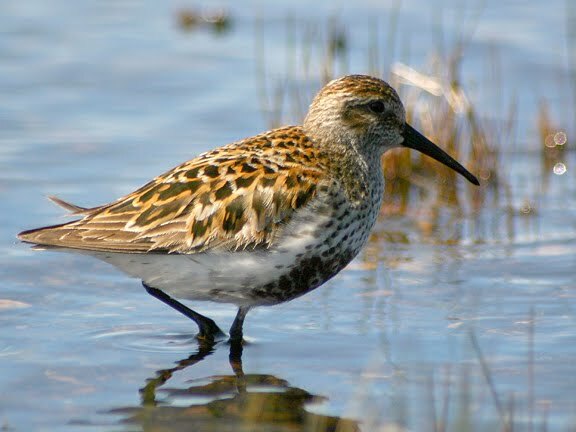 There is a Lesser Yellowlegs on the estuary and it could find it's way here. 2. There are loads of them! On the Dee we get plenty of British breeders, race totanus, and (possibly) an equal number of Icelandic breeders race robusta. It's a pig to separate them and I want to have a go! The Dunlin are mainly in summer plumage with the odd juvenile mixed in. They are very nervous, flitting about and calling the cool "preep" occasionally. 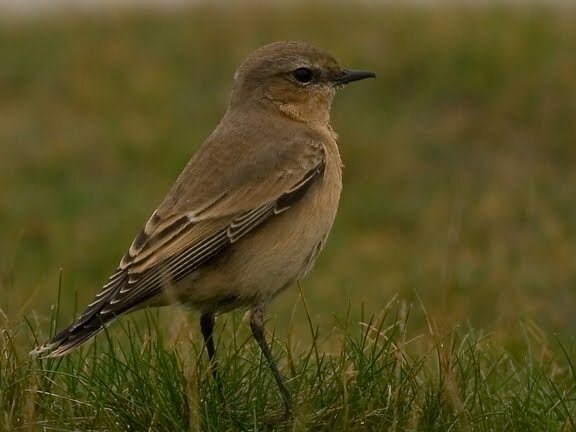 As I head down the beach I catch sight of the distinctive white rump of a flying Wheatear. It stops on a rock and the scope is deployed. It poses really well for a bit. Definitely a juvenile, a bit too small and not orangey enough for a Greenland. A nice sighting nonetheless. Get to Heswall Fields and turn my back on the Estuary and head inland. Over the meadows second brood Common Blue Butterflies are careering about and I spot a Small Copper, not seen one of those for a while. Emperor Dragonlfy over the pond and a Southern Hawker along the Wirral Way. No sightings of Brown Hawker today. Check First Field for Little Owls, but no joy. I do see a Stock Dove though and in Set-a-side Field there are a few Lapwing around the pond. This is the first time I've seen them there, but it's very difficult to see the pond with tall grasses in the way. The pictures weren't taken today, but they were all taken on the Dee by me, except the Sand Martin that I've pinched off my Dad!